Now that I’ve returned after a two month hiatus, we will FINALLY resume this series. Let’s recap a smidgen- Early on in “Destroying your Tower” we discussed the reality of spiritual influences in our everyday lives. While many people struggle with this, demonic suppression is likely far more active in the lives of individuals who struggle with mental illness, such as anxiety, depression, bi-polar, etc. If our minds are unstable, we will be easier to concur. We identified a common list of thing that can toss out a welcome mat to the dark authorities of this word. We then dug in to the abilities of demons and learned some of the things they are capable of. A concept that you may find interest in is this- Eternal life is not unique to Followers of Christ, or Christians. Everyone who has ever lived is still living somewhere. The key difference in this matter is that Followers of Christ have a say in which way they go. And there are only two destinations available on that ticket. Because Humans are, at their core, spiritual beings and spirits are immortal, every single one of us will live forever. Whether you believe in God or not, there is no dodging eternal life. There’s a stigma that I encounter all the time regarding Hell and how one ends up in that fiery pit. Essentially the common belief is-bad people go to Hell and good people go to Heaven. There kind of a major problem with this idea though-we are all bad people. The Bible state that there has never been a single person who was eligible to enter Heaven based on their “goodness”. Being a good person is not a requirement for salvation in Christ. If it was, we would all be screwed. To understand why this is, we must have a better understanding of the God with whom it all began. Up until this point in my blog, I have been sort of dancing around directly talking about God. The reason for this was that I wanted you to get to know me a little bit before we began discussing that serious of a subject. If you’ve read “My Story” and “Saving Jane” then you know about my initial plunge into the supernatural. The objective of “Destroying your Tower” was to paint a better picture of the spiritual involvement in our lives and how it affects us. Now we are going to discuss how to put an end to the work of the Devil’s henchmen. Our battle plan begins with God. What do you think of when you hear the word “god”? Perhaps you draw from the popular superhero movies and picture Thor summoning lightning bolts down from the heavens to deep fry his enemies. Or maybe you picture a white haired, muscle bound, half-man half-fish, wielding a flashy golden trident in his hand. Regardless of the imagery, most people associate the word “god” with a divine being that possesses unnatural power. You may also think of the Bible upon the mention of God. That is the God we will be discussing. The real God is nothing like the fake “gods” of movies and works of fiction. Any way you slice it, the title “God” was originally only associated with one deity. At the dawn of time, Adam and Eve were already calling their Creator, “God”. God is the single source of all life and every created thing that has ever existed. The Heavens and the Earth were intelligently designed and handcrafted by God Himself. (John 1:3) All things were created by God. You and I were created right alongside the monsters that we are heading into battle with. God, being the beginning of all things, will also be the ending of all things. To sum it up, God is the outset of us and everything we have ever known. To better understand this, let take a look at two of His three key attributes in order to paint a better picture of who we are dealing with here. The concept of being everywhere at all times is very difficult for our human minds to wrap around. This attribute of God demonstrates how big He really is! Not in a literal sense; like his foot is in Africa, and his arm is in Canada or something like that. He isn’t physically everywhere; His presence is everywhere. Like air or the wind. All of God is everywhere. No matter where you are or what you’re doing, you are always within arm’s reach of the Creator of the universe. He would kind of have to, right? In order to create the Heavens and Earth and every single living thing that dwells in them, He must know everything. The Bible actually goes on to say that the Knowledge of God is infinite, meaning it has no measure. The notion of possessing infinite knowledge would mandate a complete understanding or everything that has transpired in the past, everything that is transpiring now, and everything that will transpire in the future. Oh yes, God can see the future in case you were wondering. In fact, He can see WAY into the future! Did you catch that? God knew you and everything about you LONG before you were ever born! Long before your parents ever met! Eons before the very first day when He called the universe into existence, God knew your name. I often get lost in thought when pondering the fact that God knew all about me long before He walked in the garden with Adam and Eve. God knew my favorite color, He knew that I would love spicy foods, He knew the names I would give my stuffed animals, He knew every job I would ever hold, the address of my first apartment, and the day that I would die. He knew it all from the very beginning. That, ladies and gentlemen, is infinite knowledge. The knowledge of God differs greatly from the intelligence of man. Take our good friend Albert Eisenstein, that brilliant thinker with the crazy hair-do. He was certainly one smart dude! While Eisenstein may be considered one of the most intelligent men of the 20th century, his knowledge was certainly not infinite. If you and I were out for a morning sabbatical in New York City, and we happened to bump into Eisenstein and ask him what we had for breakfast last Monday, he would not be able to tell us. If we asked him to tell us what we got for Christmas when we were five years old, he would draw another blank. That’s because Eisenstein (while brilliant) was not omniscient. He was just a smart man and nothing more. Now let’s say we continue our mid-morning waltz down 5th avenue and as we round a corner, one of us (not going to mention names here) smacks right into God, spilling hot coffee on his white blazer! After we shake off that initial awkwardness, you decide to ask Him what you had for breakfast last Monday. Not only could God tell you what you had for breakfast on any given day, He could tell you what you will have tomorrow and the next day, and every single morning for the rest of your life. He could tell you what you got for Christmas when you were five, and He could spoil Christmas morning forever by citing off a list of every gift you will receive for all future Christmases in your lifetime! Point being, God knows everything that there is to know, and nothing is hidden from Him. Past, present, and future, God has already written all of your days down in His book! While knowing everything and being present everywhere is certainly unrivaled on their own, in our next discussion we will talk about the final attribute of God that is the key to the monsters defeat. 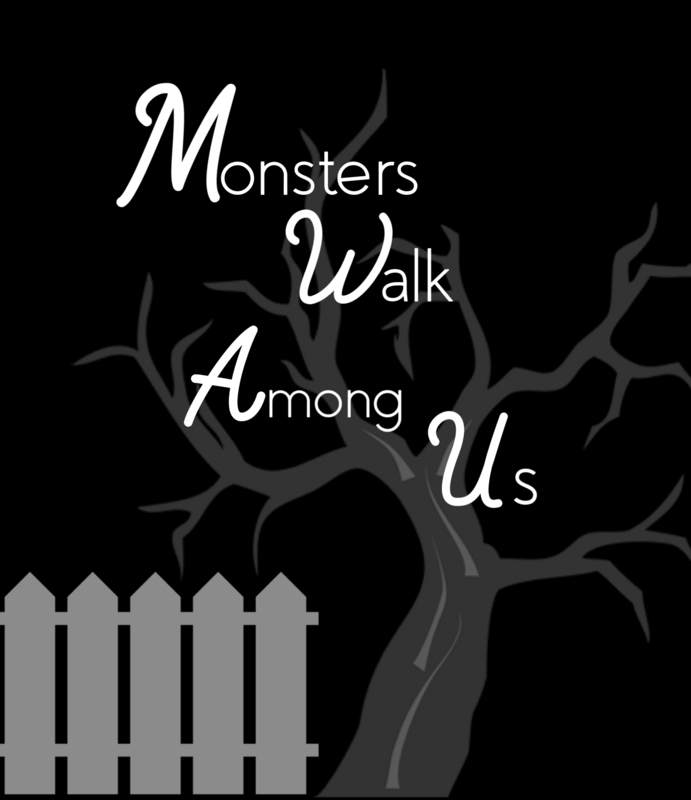 Monsters Walk Among Us- I’m Back!